Follows the rollercoaster journey of eight individuals, each on a quest to lose a significant amount of weight and overcome their lack of confidence to find love. Each episode explores one person's three-month journey to lose a targeted amount of weight, and find the conviction to finally confess hidden feelings to the object of their affection. They have one goal: to meet their crush in 90 days, completely transformed. 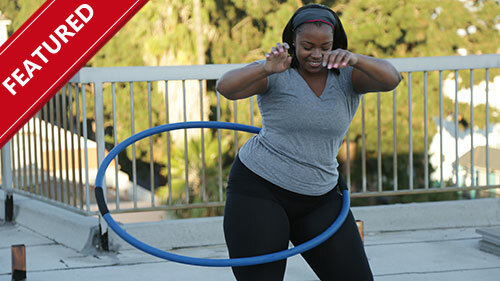 With the help of a personal trainer they will confront the scale – and some emotional roadblocks – while they learn to love themselves again and find the courage to declare their romantic intentions for a chance at love. Paul O'Grady is back at Battersea for more canine chaos. He meets Sophie who has had her ears and tails illegally docked, and a yorkie found wandering the streets. Then, in the second part of the double-bill, Paul attempts to nurse back to health the most badly injured dog he has ever seen - a saluki. He also tries to find a home for an OAP, dentally challenged Shih Tzu. Just before she died in May 2016, Tupac Shakur's mother Afeni reached out to her family friend, noted civil rights attorney Benjamin Crump, with a desperate plea: find out, once and for all, who killed her son. In this six-episode investigative series, Crump will treat the Tupac case exactly as he has treated other high-profile murder cases: he will interview the witnesses (some who have never talked before), review the evidence, examine the many theories, and come to the most informed and definitive conclusion as to what happened and why. In each episode, Crump and journalist Stephanie Frederic (who has covered Tupac's case since his murder), will examine one of the key theories. They have secured the last remaining eyewitness to his murder. And they will restage the crime scene in Las Vegas to shed new light on the case. A two-hour special of the Global Citizen Festival: Mandela 100 concert, hosted by Trevor Noah. The special will showcase performances by Beyoncé & JAY-Z, Cassper Nyovest, D'banj, Ed Sheeran, Eddie Vedder, Femi Kuti, Kasey Musgraves, Pharrell Williams, Chris Martin, Sho Madjozi, Tiwa Savage, Usher and Wizkid. Co-hosting the event with Trevor are Naomi Campbell, Dave Chappelle, Bob Geldof, Gayle King, Bonang Matheba, Nomzamo Mbatha, Tyler Perry and Forest Whitaker. Oprah Winfrey will deliver a special keynote address at the Festival, remembering Nelson Mandela and his legacy. Ashlan and Philippe (grandson of famous French explorer Jacques) Cousteau return in search of more pirate treasure, investigating stories of lost loot and pirates' plunder all over the Caribbean, from a perilous journey down the Escambia River in Florida to a trip to Dead Man's Island in Ecuador. In the Season 2 premiere, Ashlan and Philippe head to Pensacola, Florida, to track down a Native American legend of pirates and lost treasure. The investigation becomes a fight for survival when their mission takes them to the dark and dangerous Escambia River. In the second part of the double bill, Philippe and Ashlan join a mission off the coast of Key West to help prove the identity of a mystery ship that could hold millions in treasure. Annual awards ceremony created by Winnie Ntshaba that aims to award excellence in the South African soapie industry. The 18 categories include technical, creative, supporting and lead roles. Held on Wednesday 14 November at Emperor's Palace in Ekurhuleni and hosted by comedian Mpho Popps, the big winner on the night was the Mzansi Magic staple Isibaya, including the award for Outstanding Soapie. Most Popular Soapie of the Year went to Skeem Saam and the Lifetime Achievement Award was presented to Isidingo star Don Mlangeni Nawa.